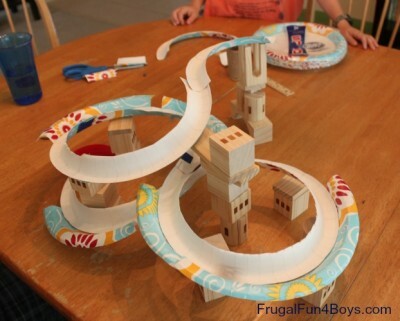 Use rimmed paper plates and blocks to create an awesome marble track. Build very simple tracks with younger children. With help, older children can build and enjoy a track like the one pictured.